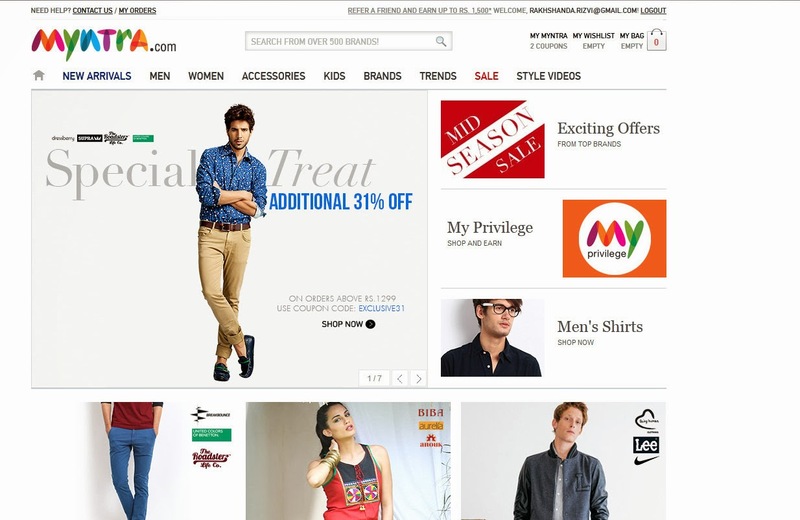 I've been ordering online from a number of Indian websites since long, however hadn't tried Myntra.com as yet. Recently, I got a chance to shop from there. Obviously had heard a lot about this fashion store, I'm sure my fellow Indian readers must be aware of this website as well! I really like the collection of clothing & accessories they have, both ethnic & western. Placing an order is very easy, there are various options for payment including COD. I received my package in less than a week, safely packed up. If you are more of a 'brand' person then, Myntra.com is definitely worth checking out. No need to step out of the house, delay your shopping plans due to sudden reasons etc etc- the various problems we face- just choose from their vast collection, 3-4 clicks & it's at your doorstep in less than a week! Highly recommended to everyone! 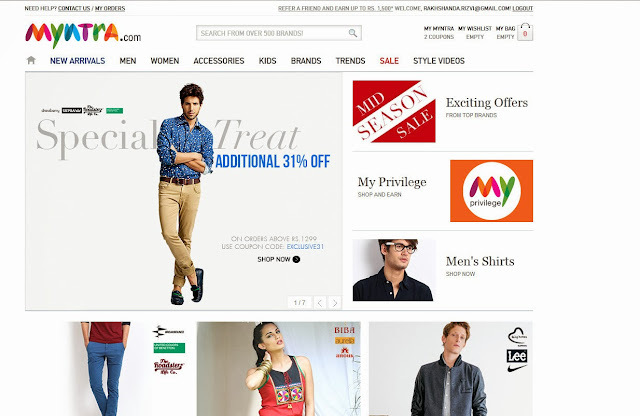 Do share you shopping experience at Myntra.com! 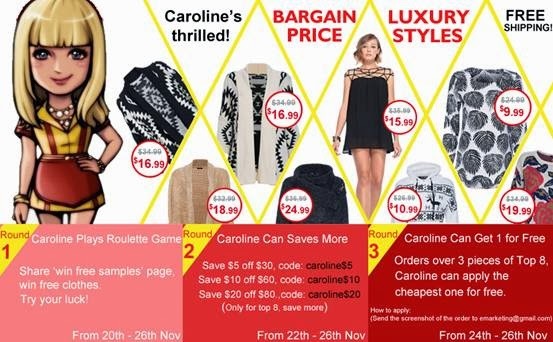 Use coupon code caroline$3 to save more..